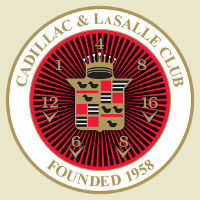 The Rocky Mountain Region Cadillac-LaSalle Club was established in 1978 under the national Cadillac & LaSalle Club charter, and soon became a strong and active presence in the Rocky Mountain area. Our Region covers Colorado, Wyoming and Montana, and we have several members from several other states. A primary requirement for membership to the Rocky Mountain Region is the love of Cadillacs and LaSalles. We are dedicated to the preservation, restoration and enjoyment of these fine automobiles. With this in mind, we encourage you to join over 120 members and their families. For those who do not own a Cadillac or a LaSalle, we encourage you to join and bring your other car(s) to our many events. For those in the process of restoring, either professionally or in your own garage, we encourage you to take advantage of the many worldwide contacts and tips available. You’ll be surprised to find that your problems are not unique and that other members are very willing to share their experiences. It’s not necessary to have your car ready for a show before joining the Club. We have cars in all stages of restoration and enjoy seeing our members accomplish their goals. Our members span several generations and many walks of life, but you will find us active in social events as well as those auto-related. You’re encouraged to bring out your “Pride and Joy” and it’s appreciated by all members. Many members have become good friends, and these friendships are the most important part of our organization. In many ways, our automobiles are secondary to the camaraderie between members. Dues to the Rocky Mountain Region are $35 annually. In order to retain the charter granted to the Rocky Mountain Region by the national Cadillac & LaSalle Club, Inc., all members of the Rocky Mountain Region must be members of the national Cadillac & LaSalle Club as well. We invite you to attend a local meeting prior to joining; we look forward to seeing you soon. Get the Application to join here. Regular dinner meetings are held at 6 p.m. on the second Tuesday of each month. Call James Salmi 303.758.8930 for location. All members receive The Dagmar, our award-winning monthly newsletter. Each month during the driving season, at least one organized Club event is planned for the members.